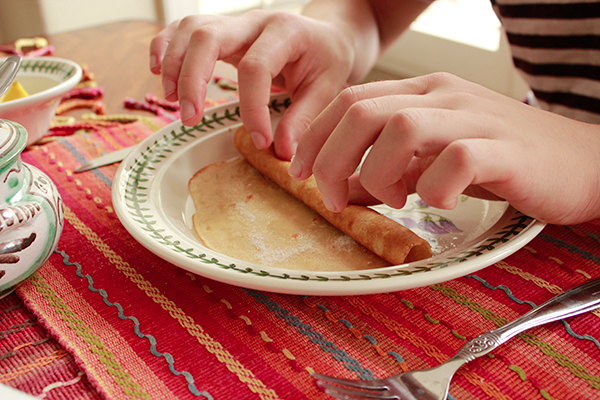 Different to traditional American pancakes, these guys are flat and are normally folded or rolled to be eaten. 1. Put flour and salt into bowl or large Pyrex jug. Make well in the center of the flour. 2. Break egg into the middle of the flour. Gradually stir in flour from the side. 3. Add milk slowly. 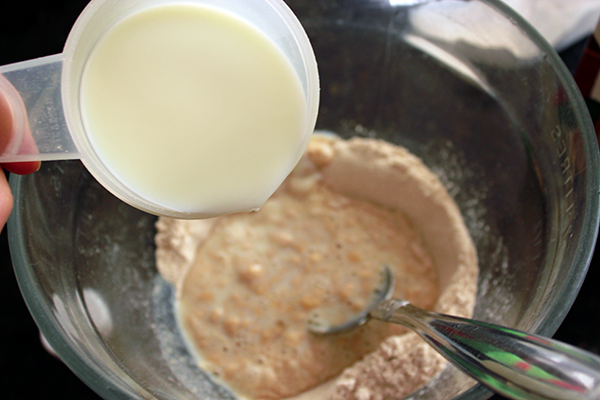 When half of the milk is added the flour should be moistened. Beat well to remove all lumps and make it light. 5. Prepare a non-stick pan. Put a small bit of butter or margarine in the pan and melt it to season the pan. Wipe pan clean with a piece of kitchen paper. Then add more butter and melt it – don’t burn. Use kitchen paper to spread butter all around the pan and remove any excess. 6. Use a measuring cup – around 1/3 to a ½ depending on the size of your pan. Fill measuring cup with batter and pour into pan. Lift pan to evenly spread batter all around the pan. 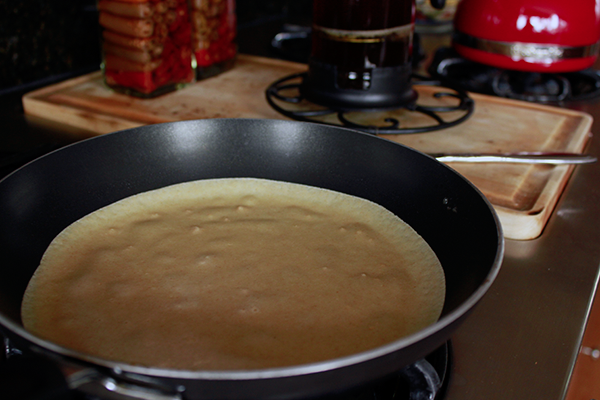 Cook on medium heat until bubbles appear in batter and then turn pancake with using non-stick spatula. 7. When other side turns light brown, remove from pan and serve immediately or keep warm. 8. Repeat – add butter to pan, wipe around paper with kitchen paper and remove excess and pour in more batter. 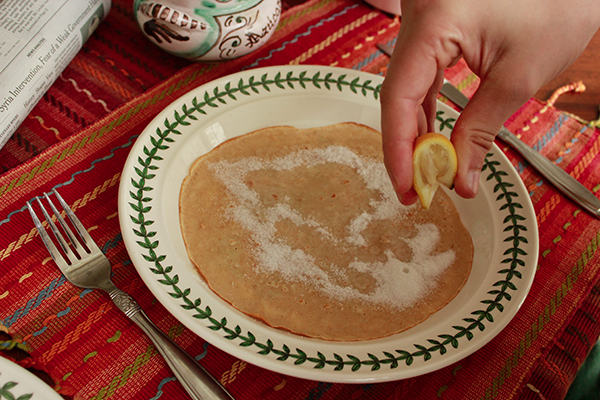 We like to squeeze fresh lemon juice over the crepe, add a generous sprinkling of sugar, roll then eat!